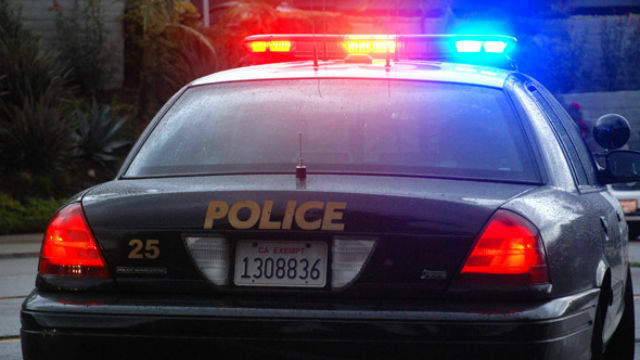 A man who allegedly pulled a gun on an acquaintance in Barrio Logan Wednesday and stole her car managed to crash it almost immediately, then made a failed attempt to evade arrest by fleeing on a trolley, authorities reported. The victim was giving the alleged thief and her brother a ride near Naval Station San Diego when the carjacking occurred shortly after 6:30 a.m., according to police. The gun-toting man ordered the woman and her sibling out of her Pontiac Grand Prix at Main and Thor streets, got behind the wheel and drove off to the north, according to Officer Dino Delimitros of the San Diego Police Department. After fleeing for a few blocks, the man lost control of the sedan and crashed it underneath a freeway overpass. He then got out, ran off and boarded a nearby trolley. Patrol officers arrested the suspect a short time later near a light-rail station on Iris Avenue in Otay Mesa. His name was not immediately released.